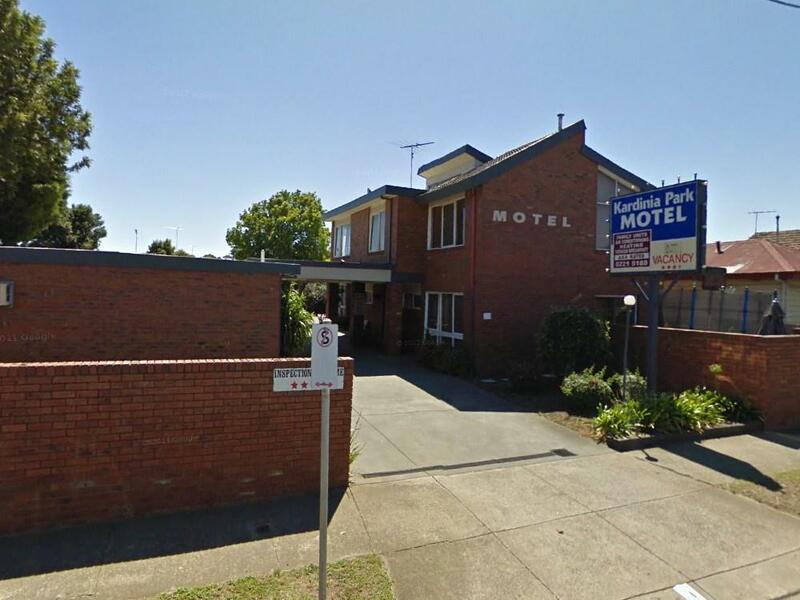 يقع فندق Kardinia Park Motel، المصمم ليناسب كل الضيوف سواء كانوا من رجال الأعمال أو السياح، في مكان ممتاز في أحد أكثر المناطق تفضيلاً في Geelong Central. إن موقعه الجيد الذي يبعد فقط عن مركز المدينة يساعد النزلاء على الاستمتاع بمعالم المدينة ونشاطاتها. يضفي محيط الفندق اللطيف وقربه من ‪Simonds Stadium‬, ‪Barwon Grange‬, Mind Games سحراً خاصاً على هذا الفندق. 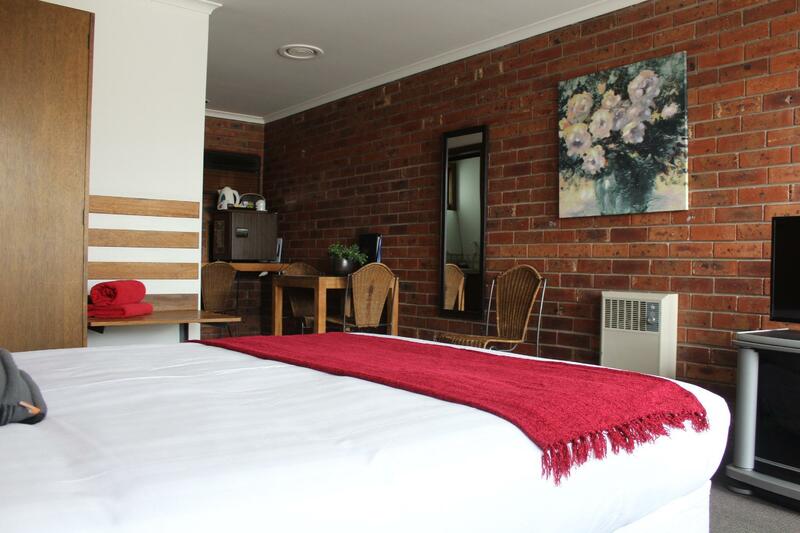 كما يقدم Kardinia Park Motel الكثير من الخدمات لإغناء رحلتك في جيلونج. يقدم الفندق فرصة للاستمتاع بشريحة واسعة من الخدمات بما فيها: مرافق مخصصة لذوي الاحتياجات الخاصة, تخزين الأمتعة, صف السيارات, خدمة الغرف, غرفة عائلية . في Kardinia Park Motel غرف نوم يزيد عددها عن صممت بذوق وعناية لتوفر لك كل وسائل الراحة . بعضها يحتوي أضاً على اتصال لاسلكي بالإنترنت, غرف لغير المدخنين, مكيف هواء, تدفئة, مكتب. يقدم الفندق مجموعة واسعة من وسائل الراحة المتنوعة، كمثل: حديقة. اكتشف مزيجاً ساحراً من الخدمة الاحترافية والخيارات الواسعة من وسائل الراحة والمتعة في Kardinia Park Motel. يُطلب من الضيوف الذين سيصلون بعد 09:30 PM الإتصال بالعقار مباشرة قبل موعد وصولهم. Great location and super friendly staff, sadly that's where our good experience ended. The room was very dated, furniture in desperate need of replacement. TV had no remote, couch was torn to shreds, tiles coming off bathroom wall, spiders and spider webs everywhere, shower didn't work and we had to get it replaced to shower. Was told hair dryer was available in rooms, must have been invisible. Cold night, no electric blanket or extra blankets in room, only the heater which we had to put on after being at a cold outdoor concert. Beds only had a threadbare blanket & coverlet. Car parking was ridiculous, was told to park outside a different room as ours had a rubbish skip in it, when we got back, 2 4wd vehicles were over the lines of our park so had to park on the side of a 4 lane highway which we were not impressed about as bays just too small. Room very very noisy. Majorly overpriced for how run down it was. Unfortunately have zero intentions of ever going back. Old appliances and the fridge was tiny and hadn’t been defrosted in months! Very very poor lighting. Definitely not a place for a stay longer than 1 night. 30 years ago it would have been passable, but now it’s old and tired. Look elsewhere for more dollars more and get into this decade. Always know the difference between what you're getting and what you deserve. 3 star Motel. Old but cheap! No charge for parking.! Room was dated and quite dark, but was a good size with great facilities - including a microwave and cutlery! Convenient central location but not noisy at all. I live an hour away from this property and was headed down to Kardinia Park for a game. Thought instead of catching the Vline up on a 42 degree day i could head down to the beach for the day before hand, check in and walk 200m to the ground when ready. 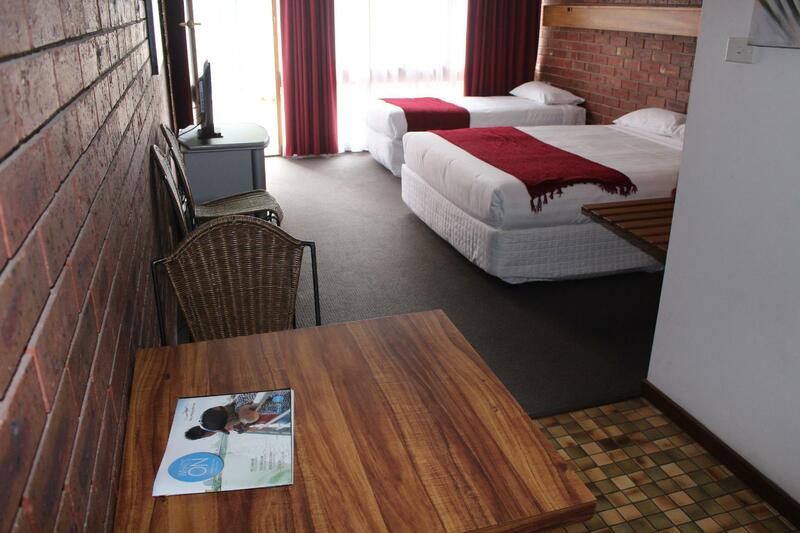 Hassle free, no frills accommodation. Staff are very friendly. No fuss, get you to your room in a timely manner and non-intrusive. bit of a hike from the station (South Geelong), but a peaceful friendly place with 2 pubs nearby, an excellent fish and chip shop, a 7/11 and various eateries. facilities include a microwave, a toaster plates, cutlery and a separate toilet from bathroom. Staff called us cabs and held our bags in storage. Very pleasant stay. Park opposite near stadium with trees and birds. We had a late flight from Tullamarine and they forgot our booking and had to keep ringing the bell and it was to their surprise that we havent had our room key yet. Stayed 2 nights and very reasonable room size and convenient location. However on the second night (Saturday) there were noisy patrons outside the door and that was very inconvenient and disruptive. Great staff, Great facilities and Great prices. On arrival at the hotel I was greeted by the female owner who was FANTASTIC! I had previously spoken to family members who were working at the hotel that were also great. When arriving cheaking in was simple and her attitude was so postive and inviting! Straight away she directed us to the closest food outlets and filled us in on events happening in the town as it was new years eve. Reason for choosing this motel. Fit for purpose. Close to GFC The Cats. Needed to only walk across the road to the Football oval. Road noise unbearable at night. Rooms looked very tired. Will look for a hotel a little further from ground next time. I think this hotel is good for family. There are private car park in front of your room. Overall the place was neat and tidy, yet at over $100 per night I personally had a slightly higher expectation. The facilities, though clean, are definitely dated. There was a jacket hanging on the back of the front door from a previous guest, which suggests the door is not closed when the room is cleaned, even between guests. If this is missed, what else is missed? The airconditioning unit is not well placed to suitably warm the room, and it was indeed quite cold on the first night though it ran on high and as warm as possible. After that I used the extra blanket and more clothing. comfort of bed, location, strong shower head. Overall sufficient. The bed was super comfortable and queen suitable for heavier couples (no dip in middle). Facilities VERY outdated. TV, aircon, heater, at least 20 years old. Shower very retro but very well fitted and in good condition (think Nonna's house). The remainder of the room felt small and dark. Towels smelt of bleach (not in a good way). Ashtrays directly under signs that say "thank you for not smoking". Overall it was good enough for a brief stay but definitely not fancy if that's what you are looking for. Friendly staff and good location. Close to town and the "Paris" end of Packington so plenty options for dining and coffee. Nice motel with great location, the host got a very cute dog and very friendly. We stayed there for one night , and we reserved 1 car parking space. It's located next to the street, and value for money ! As we stayed at this hotel for just one night before continuing our journey to Melbourne, it was fine for the one night. It was clean and comfortable, with a microwave and some crockery to warm up a meal and was close )by car) to a supermarket. The staff were very friendly and check-in and out was very quick. 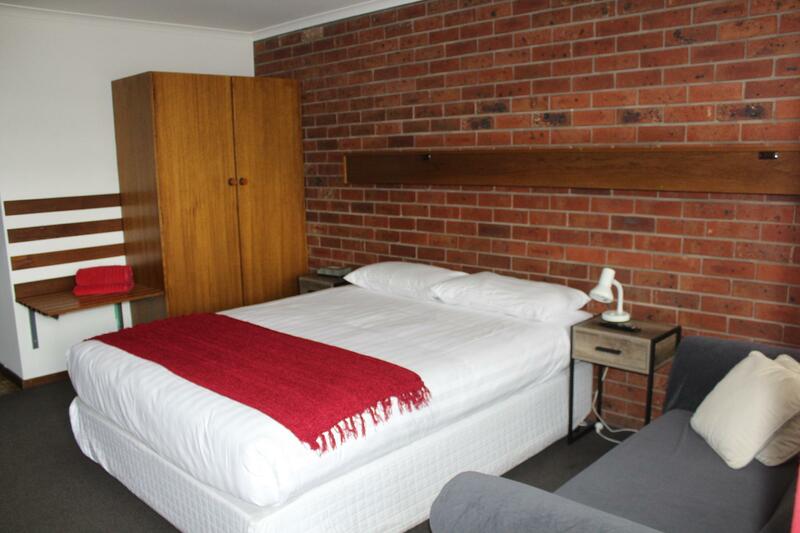 The room is spatious with most of the facilities you need. Reception is friendly and helpful. Easily found location which is near to the city centre especially if you drive. Just a little bit dusty in some wall/ ceiling corners, but it is acceptable.